When you have been in this business for a long time, it’s easy to become jaded. Players, coaches, executives and trends come and go. But every once in a while, someone extraordinary hits the scene and makes you take notice. Just 10 short days ago, I was sitting at home watching the New York Knicks take on the New Jersey Nets in a Saturday night game at Madison Square Garden. I had turned the contest on a few minutes into the third quarter. Within a few moments of tuning in, Jeremy Lin had entered the game. The rest, as they say, is history. I sat in front of my computer screen absolutely transfixed for the next 45 minutes, as the young point guard, who had been released by two teams in the previous two months, came in and began to turn the NBA on its head. He drove the lane, he distributed the ball, he played defense and he did it with flair in leading the Knicks to victory. As only they can, the New York crowd ate it up. Having worked in the NBA for several years, and watched thousands of games in person and on TV, I thought I had seen it all. By the final minute of the contest, tears had welled up in my eyes as I watched this glorious example of preparation meeting opportunity. Lin, the first Taiwanese-American to play in the NBA, finished with career highs of 25 points, seven assists and five rebounds. He scored 19 points in the last 20 minutes of the game. 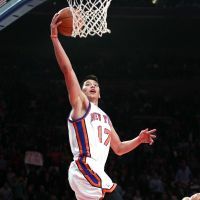 Two nights later, Lin made his first career start against the Utah Jazz and keyed another victory for the Knicks with 28 points, and eight assists. I could only shake my head this time. A couple of nights after that it was a road game against the Washington Wizards. Lin scored 23 points and had 10 assists in another New York victory. By this point I was throwing my hands in the air. When I saw the Knicks were hosting Kobe Bryant and the Lakers at the Garden a couple of nights later, I could only imagine what we were going to be in store for. Sure enough, Lin didn’t disappoint. Outscoring Bryant, a 14-time All-Star, Lin poured in 38 points, doled out seven assists and burnished his growing legend in New York’s fourth straight victory. A night later, an exhausted Lin struggled but still scored 20 points, dished out eight assists and made the winning free throw in a road triumph over the Minnesota Timberwolves. It was amazing enough that the Knicks had just won five straight games in eight days powered by a player that nobody wanted a few weeks before. The fact that they did it missing their two biggest stars — Carmelo Anthony and Amare Stoudemire — for essentially four of those games only made it more incredible. Lin’s basketball pedigree was good before he burst on to the scene. He led his high school team in Palo Alto, California, to a 32-1 record and the state title as a senior. When Stanford didn’t offer him a scholarship, he went to Harvard and starred in the Ivy League. But it’s not easy to stand out coming out of a school not known for producing basketball players and being just 191 cm. Lin was not selected in the 2010 NBA Draft, but eventually signed with his hometown Golden State Warriors. He rode the bench and played for the team’s NBA Developmental League team in Reno, Nevada, his first season. He was released by the Warriors last December during training camp, then signed by the Houston Rockets and released again. 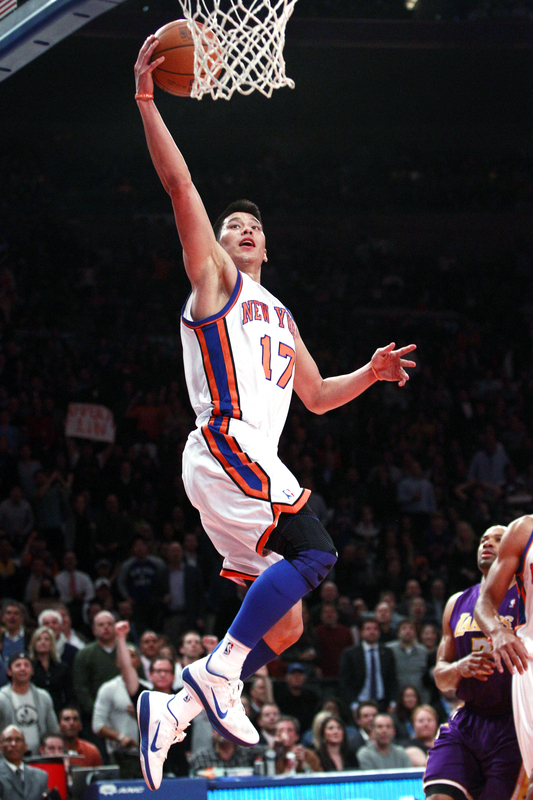 It wasn’t looking too promising for Lin when the Knicks came calling. The splash he is making reminds me of my first season (1984-85) in the NBA, when Michael Jordan was a rookie. It seemed like each game early that year he was setting a new career scoring high, and the electricity running through the league about him was pulsating. We didn’t have the Internet back in those days, so Jordan’s rise was primarily a domestic story. But with the advent of the Internet, Lin’s exploits are already known the world over and just about anybody can watch him in action. While many in the media have chosen to focus on Lin’s ethnicity, that is secondary to me. His story is a triumph of the human spirit. Of a person seeing their chance and making the most of it. Lin’s emergence has no doubt provided many, in all walks of life, with inspiration and will continue to. He has transcended sports and delivered a meaningful message about perseverance with his effort. As I have reflected on the Lin phenomenon over the past 10 days, I recalled a conversation I once had with a friend of mine who was a prominent executive for the Knicks at the time. This was after my NBA days and when I was in between gigs, as we say in the business. Jeremy Lin is living proof.